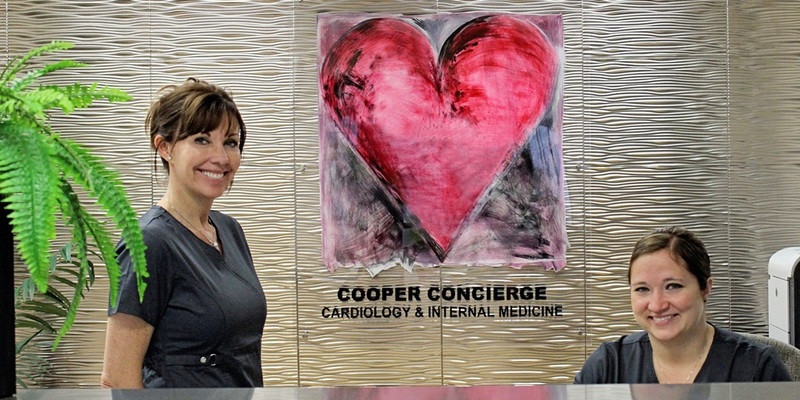 Dr. Daniel Cooper: Your Personal Cardiologist and Internal Medicine Doctor in Sarasota. Dr. Daniel Cooper has been delivering high quality medical care to patients in Sarasota, Venice, Siesta Key, Longboat Key, Lido Key, Lakewood Ranch since 1987. In the summer of 2013, Dr. Cooper became the first Cardiologist in this area to expand his practice to Internal Medicine and offer personalized comprehensive care to a limited number of patients. Highly trained in Cardiology, Electrophysiology and Pacing by the Cleveland Clinic, the number #1 Heart Hospital in the USA, Dr. Cooper is Board Certified in Cardiology. Dr. Cooper is also Board Certified in Internal Medicine, having trained at Buffalo General Hospital, the flagship Internal Medicine program of the State University of New York. He has attended Harvard Medical School Internal Medicine Recertification. Concierge Medicine: Your General Practitioner and Cardiologist All in One. Dr. Cooper has spent the last two decades caring for the day to day routine outpatient problems of his patients, as well as the most complex emergencies and chronic conditions seen in an acute hospital setting at Sarasota Memorial Hospital. From the outpatient management of an upper respiratory infection to the hospital care of a complicated cardiac arrest, Dr. Cooper's training and experience gives you the peace of mind that you will have the best quality medical care. The coordination Dr. Cooper provides with other highly qualified specialists, will give you the continuum of medical care to help you remain healthy and active. Dr. Cooper understands that it is by listening to his patients and spending as much face-to-face time as needed, he can continue to provide a high level of care without compromises. The healing of his patients starts with his caring relationship and provides the cornerstone for his role as a physician, a teacher and a friend to his patients. In addition to internal medicine, Dr. Cooper includes comprehensive in-office cardiology noninvasive examinations. As the first Cardiologist/Internist in the area to provide Concierge private services, he continues to bring innovation to his patients that require a house call or periodic nursing home visit. When making a house call, Dr. Cooper carries a "21st Century doctor's bag" that includes state of the art, hand-held Ultrasound Scan, Electrocardiogram, pulse oxygen meter, and other useful diagnostic tools. This allows him to make an immediate bedside determination of the heart function and valves, as well as diagnose changes in the patient's rhythm. This "medical office in a bag" permits him to make specific recommendations for his patient's care. © 2019 Cooper Concierge Medicine. All rights reserved. Web site by Baryxon, LLC.